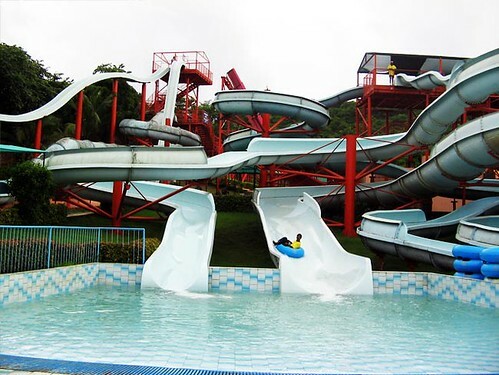 Suraj Water Park is one of the famous water park in just outskirts of Mumbai spread over 17 acres of land. It is located 21.7 kms from Borivali and 10.2 kms from Thane station. The park is designed by Canadian firm, White Water West Industries and award winner Internationally as well as National. It provides great water adventure with exciting Wave-pool generating artificial waves. There is a massive figure of ‘Lord Shiva’ with the river Ganga flowing from his mane. The eye-catching fountain displays and mermaid figures truly add to the beauty of this water park. A must-see, the ‘Fiber Cave’ is one of the most attractive features of Suraj Water Park. Timings:	Open from 10:00 AM to 6:00 PM every day. By Road BEST Buses and taxis are available from Borivali station and Thane, which directly lead to the water park.